Born and raised more than 4,300 miles away from Kauai, in Chicago, Illinois, some may find it hard to believe me when I refer to Kauai as my “home,” but that exactly how I have held this beautiful island in my heart for nearly 30 years. I first became a kama’aina, or “child of the land,” at age 8, when my parents purchased a home on the North Shore and catalyzed my family’s lifelong commitment to the island. Although life, school and work obligations would prove to keep me physically off-island for the majority of each year since then, I always worked with Kauai on my mind, and with the ambition of someday making Kauai my full-time home. In 2001, in an effort that I described at the time as “getting as close as I can to Hawaii without actually moving there,” I moved from Chicago to San Diego, California and attended the University of California, San Diego (UCSD), where I received my B.A. in Economics and minored in “Law & Society.” Further exploring an innate personal interest in the ideologies of law and equity, upon graduating from UCSD I accepted an Honors at Entrance Merit Scholarship and attended Loyola University Chicago School of Law. Throughout my first-year coursework at Loyola, I was exposed to the concepts of property and contract law (among others) in great detail, and real estate came into very clear focus for me as the occupational outlet that could so perfectly tie together my interests and abilities relating to finance, property and contracts. I returned to San Diego and first became an actively licensed real estate broker in 2007. In 2008 – the year that I met my wife, Rachel – I was recognized as the Top-Producing First-Year Salesperson at the #1 ranking Coldwell Banker Commercial franchise office in the country. In 2009, I was entrusted with leadership of the office sales platform, and in later years successfully expanded other platforms to assist clients with a wide range of needs, including both commercial and residential property types. With the experience of more than 100 completed real estate transactions under my belt, in mid-2011 my wife and I developed a strong sense of wanderlust and a thirst to make our own creative and positive mark on the world. So, we quit our jobs, sold all of our belongings, and we left to travel the world for 18 months and work on a passion project called The Globe Less Traveled (more information on card below). Late in 2012, having just returned from our travels and with Kauai still calling, my wife and I contemplated making the move here to the island to settle down for good, but felt we wanted just a little more professional education and experience on the mainland first. We moved back to Chicago and I joined one of the largest and most successful real estate capital intermediaries in the country, HFF, where I specialized in valuation and assisting teams of brokers in the capitalization and sale of several of the largest investment real estate offerings in the country. As a relatively small but influential firm, we closed more than $55 Billion in transaction volume in 2013, bringing the closed total for the company to more than $400 Billion since 1998, and earning HFF’s recognition as one of “Fortune’s 10 Fastest-Growing Companies” in the country again in 2013 (#9), as they were also recognized in 2012 (#5). By mid-2014, as the worst winter in Chicago history seemed to linger on forever, I felt as prepared as ever to start my own comprehensive real estate services business, and my wife and I knew that there was only one place in the world where we wanted build that foundation and grow our family’s roots – Kauai. So, we FINALLY and permanently relocated our lives here in July of 2014, and I immediately began building this business. Professionalism, preparation, responsiveness, communication and accountability are the emphases of my business. 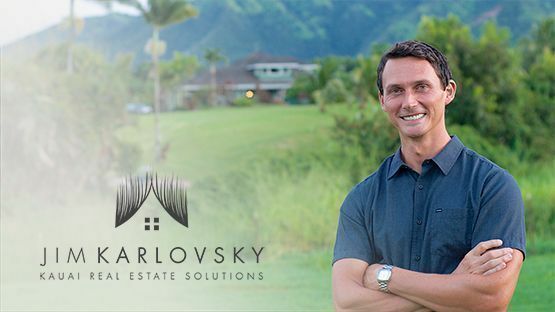 I regard this real estate business, and in turn this opportunity to serve the people of Kauai, as my life’s work, and I accept the responsibilities entrusted to me with great reverence. Priding myself on my professionalism, preparedness, responsiveness, communication and accountability, I hold myself to the highest ethical standards and always place my clients’ interests above my own. With an unwavering and unsurpassed work ethic, I work to advance the objectives of my clients with integrity and in manner that fosters a sense of trust and respect between both my clients and myself, and between other agents/brokerages in the community and myself. Whether through action or donation, I am a firm believer in finding happiness through selflessness, and encourage all to contribute in support of humanity in their own way. As such, I have committed to donating 5% of all Net Proceeds1 received through the operations of this business directly to a local Kauai charity of my clients’ choosing. From late 2011-2012, my wife, Rachel, and I founded a passion project called The Globe Less Traveled. In the spirits of philanthropy and social service, we worked to inspire and grow a community of like-minded individuals sharing both in interest in travel and an overarching love for humanity, with a hope of inciting positive change in ourselves and in society along the way. We spent 18 straight months advancing our initiative by traveling-to, volunteering and/or working-in local communities spread across 32 different countries. We proactively partnered with volunteer travel organizations and produced written content, photography and videos that brought awareness to mindful travel opportunities and shared them with the world via weblog and social media channels.